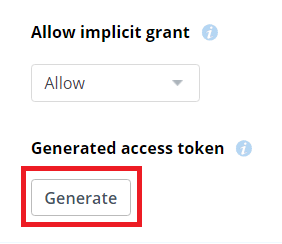 By using a Dropbox Access Token generated at https://developers.dropbox.com it is possible to present the same Dropbox account to multiple users in the organisation. Create a new Dropbox service account within Foldr Settings >> General >> Service Accounts. 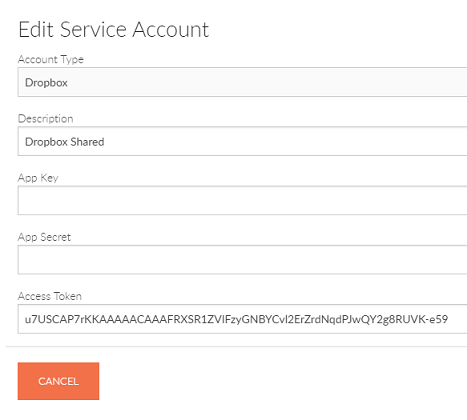 Select Dropbox as Account Type and paste in the access token generated at above. The App Key and App Secret can be left blank. Click Save. 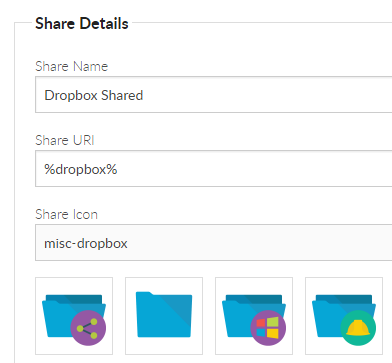 Create a new share for the shared Dropbox account within Foldr Settings >> Shares, selecting the Share URI / path as %dropbox% – selecting the service account created above. Using the Permissions area at the bottom of the share configuration screen, the administrator can control who has access to the shared Dropbox account and can optionally make the resource read only. Dropbox shares (personal or shared accounts) behave the same as any other on-premise share. Users can edit documents using locally installed Office applications or edit via Google G Suite or Office Online. All sharing features are available (hand-out, hand-in and manage) and files and folders may be bookmarked.